Spinean edustuksessa on Hidroksen laadukkaat vapaajäähdytystyä hyödyntävät vedenjäähdyttimet. Vedenjäähdyttimet voidaan varustaa kiertovesipumpuilla, välisäiliöillä ja paisunta-astialla. Vapaajäähdytystä hyödyntävät ulkoasenteiset koneikot ovat ympäristöystävällisiä ja niillä on korkea hyötysuhde. Laaja valikoima koneita ja lisävarusteita. The LSA water chiller range has been designed for small and medium residential and commercial applications. They are suitable for generating chilled water at 7°C, commonly used in applications with fan coils and/or air handling units. LSA water chillers have high operating efﬁciencies and are quiet in operation.Differing versions and a wide range of accessories, enable the optimal solution to be selected. LDA water chillers are efficient,low-noise products designed for medium to large applications. They are suitable for generating chilled water at temperatures in the region of 7°C, commonly used in applications with fan coils and/or air handling units. The use of tandem scroll compressors results in high efficiencies(especially at part loads) and low noise levels, making them suitable for use in many applications. Differing versions and a wide range of accessories, enable the optimal solution to be selected. LGK water chillers are effcient, low-noise products designed for large applications. They are suitable for generating chilled water at temperatures in the region of 7°C, commonly used in applications with fan coils and/or air handling units. The use of semi hermetic screw compressors results in high effciencies and low noise levels, making suitable for use in most applications. Differing versions and a wide range of accessories, enable the optimal solution to be selected. Sisäasenteiset, kanavoitavat mallit. Vahva tuotevalikoima, monipuolisia sovellutuksia. Varustettu hiljaisilla scroll-kompressoreilla. The CSA water chiller range has been designed for small and medium residential and commercial applications. They are suitable for generating chilled water at 7°C, common-ly used in applications with fan coils and/or air handling units. CSA water chillers have high operating efficiencies,are quiet in operation and are suitable for indoor mounting. Differing versions and a wide range of accessories, enable the optimal solution to be selected. CDA water chillers are efficient,low-noise products designed for medium to large applications. They are suitable for generating chilled water at temperatures in the region of 7°C, commonly used in applications with fan coils and/or air handling units. The use of tandem scroll compressors and the centrifuga fans results in high efficiencies(especially at part loads) low noise levels, making them suitable for use in indoor applica-tions. Differing versions and a wide range of accessories, enable the optimal solution to be selected. Todella laaja valikoima sisäasenteisia, scroll-kompressoreilla varustettuja vedenjäähdyttimiä ja lämpöpumppuja. WSA water chillers have been designed for small and me-dium residential and commercial applications. They are designed to operate with water outlet temperatures of 7°C, commonly used in combinations with fan coils or/ and air handling units. The units are designed for indoor installation and have low noise levels in operation.Due to the compact dimensions, the versatility in installation and a wide range of accessories, the WSA series are ideal for most applications. 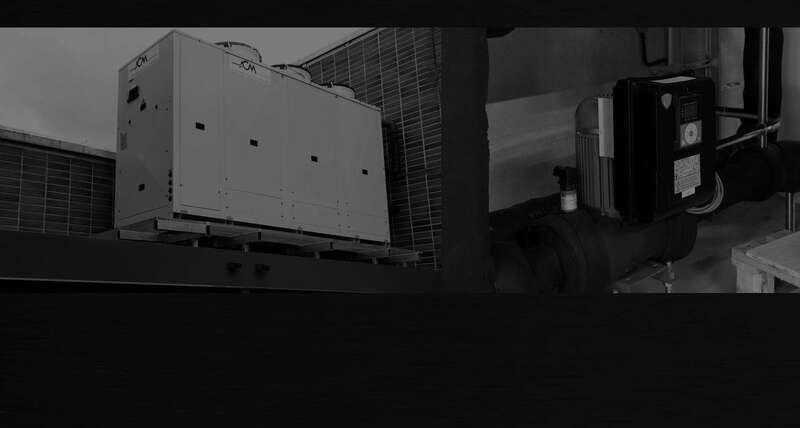 WDA water chillers are efficient, low-noise products designed for medium to large applications. They are suitable for generating chilled water at temperatures in the region of 7°C, commonly used in applications with fan coils and/or air handling units. The use of tandem scroll compressors results in high efficiencies (especially at part loads) and low noise levels, making them suitable for use in many applications. Differing versions and a wide range of accessories, enable the optimal solution to be selected. Suurin kohteisiin tarkoitetut, sisäasenteiset, puolihermeettisillä ruuvikompressoreilla varustetut Ilma- ja liuoslauhdutteiset vedenjäähdyttimet.